And so the saga is completed. 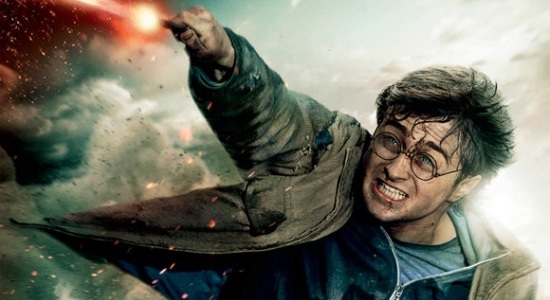 This 8th Harry Potter film is the satisfying conclusion to the decade-long wizardry franchise. After last year’s sombre and bleak Part 1, this year’s follow-up focuses on tying everything together as succinctly as possible. Some of the fans of the novels may complain that there are key plot lines that have been neglected, but you can’t put everything into a movie. This final part is nevertheless consistent within the universe they have established in the films. I find it difficult to find any complaints about this movie. If you’ve watched all of the previous films, you know how this one will turn out stylistically. The only definite criticism I have, is for how they treat the deaths of certain characters. Since they split the last book into 2 films, this created a needlessly unbalanced pair of movies. Part 1 ended with a death which was treated with way too much pathos (in relation to the character’s role in the rest of the series) because they needed some sort of climax for the first part. Then in this Part 2, (I can say without spoiling it), that there are numerous deaths involving main/secondary characters, and the majority of these are merely shrugged off. Some are only given a few frames of film so you can understand that they died, then it moves on. But I suppose that there’s just not enough time to focus on them all. The director knew that and he made a decision to have this final part focus on Harry and Voldemort, and completely side-step most every other character. The cinematography that has helped make the past few films into works of visual art is still ever-present here. The fantastic cast of important English folk still helps give mature credibility to a what is essentially a family film. There is also the wonderful pacing in most of the dramatic scenes (i.e. the first few opening scenes and a scene involving someone’s death via a snake). In fact, there is a flashback scene near the end that reveals a number of secrets on which the entire series hinged upon. They made sure to pull this part off perfectly and works extremely well in terms of editing and emotional payoff. Summary: To look at each of the Harry Potter films individually seems odd. It is such a serial set of films, that they work best when viewed as a whole. I still stand by the opinion that they should have released Parts 1 & 2 as one 3-plus-hour epic; while trimming off some of the first half. Deathly Hallows Part 2 is nevertheless a perfect encapsulation of the saga, and is essentially 2 hours of climax. It makes every movie before it, worth the ride. Thanks to the director David Yates, the last 4 movies have been actual mature films with lots of visual style and fully realized characters. This final part one of the best (I still love The Half-Blood Prince more), and is my #74th ranked movie.